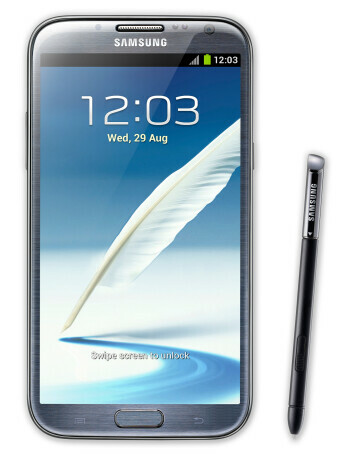 First thing you notice about the Sprint variant of the Samsung Galaxy Note II is the huge HD Super AMOLED display occupying most of its front side. It measures 5.5-inches diagonally and has a resolution of 720 by 1280 pixels, which single-handedly cements the device in the "phablet" category. Under the hood one will find a very potent 1.6GHz quad-core processor, namely the Exynos 4412 by Samsung, backed up by 2GB of RAM for uncompromised performance and seamless multitasking. On the back of the jumbo-sized smartphone resides an 8-megapixel camera with back-side illuminated sensor for better low-light performance, while a 1.9-megapixel front-facing cam, also of the BSI kind, makes video chats possible. The humongous 3,100mAh battery should be well capable of lasting through a day of moderate to heavy usage. The device relies on 4G LTE connectivity for accessing the internet whenever Wi-Fi isn't available.